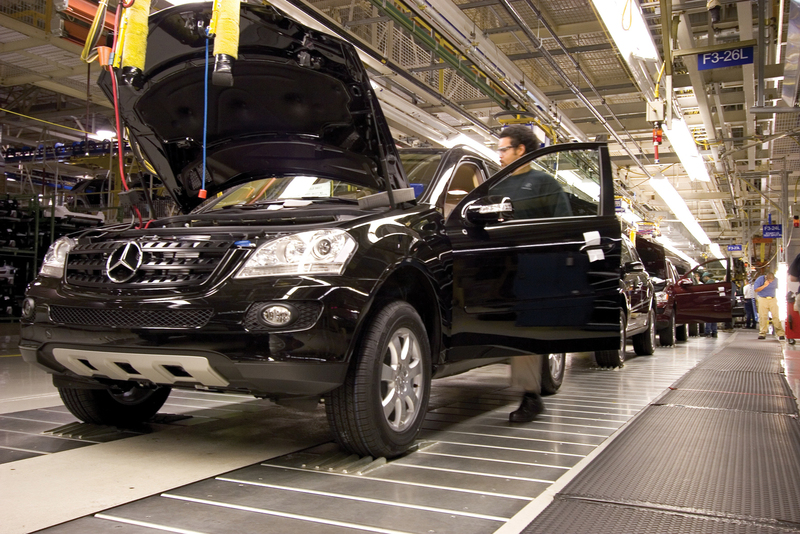 Production line at Mercedes-Benz U.S. International plant in Tuscaloosa. China’s Finance Ministry announced in late May it would cut its import duty by July 1 on passenger cars to 15 percent, a move that rippled through Alabama by way of sending stock prices upward for European and Asian automakers. Officials with the Finance Ministry in Beijing pointed to an effort to aid competition and reduce prices as being behind the decision. Others saw the lowering of import duties from the previous 25 percent level to be one of several moves China and the United States were making to avoid an all-out trade war. While European and Asian automakers saw stock prices edge up immediately, Tesla Inc. and Ford Motor Co., which long have targeted the world’s second largest economy for company growth, are expected to benefit. Tata Motors Ltd., owner of Jaguar Land Rover, and BMW saw their biggest intraday gains in more than a month after the announcement, but another major winner was the Trump administration. President Donald Trump has bemoaned what he sees as holes in the balance of trade between China and the U.S. since well before running for office. Dave Helms is copy editor of Business Alabama.